Panda is the name of the Google algorithm, and that’s exactly the part of the algorithm that applies to the content on the page. Unlike penguins, panda does not take into account links to the site. 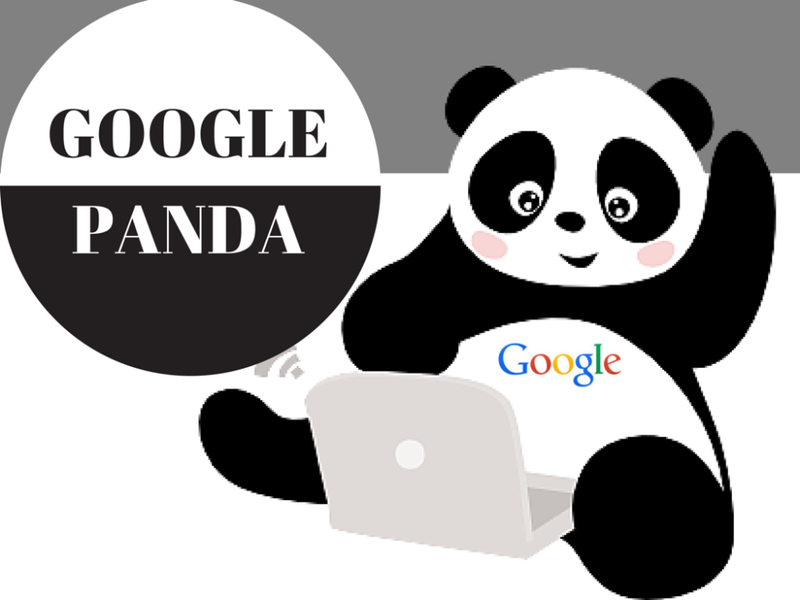 We have had a few panda updates so far, the last of which (Panda 4.0) took place on May 19, 2014 – according to all the updates to the gogle algorithm moz.com. By introducing panda, google wants to eliminate pages that have very low quality content or if it is content copied from other sites. When content is poorly detected, the content of that page in search results is lowered. What specifically analyzes the Panda algorithm? Total volume of content on the page. The point is how much content is on the page (specific subpage). Content is checked for uniqueness – is it not a duplicate of content previously published on another site? Content at the top of the page called “above the fold”. Originality and quality of images published on the site. Does the page allow the user any interaction or maybe only “dry” text. What is enough content on the site? Should the site have unique content? The answer is simple and one-sided – so the page must be published with unique content if we want them to retain high positions. Panda analyzes not only the amount of content, but also whether it is original. How can this be done? The algorithm can for example divide the text we have on a subpage into blocks and check whether the individual blocks of text are no longer published somewhere, on pages of similar and the same subject as ours. The problem of duplication of content appears, for example, in the case of press releases, which are published in many places in unchanged form. This results in duplicate content and the inability to position such a subpage for high positions. If we already have to use the same content, we can merge between individual blocks of text some interview with a customer, an industry person, we can put comments on our customers / products, create interesting pictures. Make at least something to separate the contents of the content by blocks of other content. This will make it difficult for Google crawlers to check the content for its uniqueness. How important is the top of the page? For Panda is very important because it allows you to immediately analyze what content is on the page, and above all it is a signal for the algorithm that the page has any content. Google Panda can check for example by analyzing whether there are clickable text elements at the top of the page (some menus, for example). If there are no such elements then it is very likely that the upper part of the page has no content but a large logo or banner . In order to eliminate such a problem, when the page position is lowered because at the top of the page there is no content, for example, to get rid of the empty space in the upper banner (very common situation). Move the banner to the very top of the page – let nothing from the top limit it. You can also reduce it slightly so that the top of the page is visible content, which is important for Panda. Why give me unique pictures on the site? Content on the page is not only clean text, it is also pictures. We often forget about this. Pictures are part of the content, and they should be the same as the text to be unique. Google is very good at recognizing images. All we need to do is put a picture in google image search and in less than a second we will see what other pages it is published. If we change the name of this file, its size, the extension will change eg from png to jpg and we will apply some filter in photoshop, then by putting the picture in the google search engine will get what it is. Year after year, the search engine is smarter, so you need to publish really unique pictures or how we no longer have the ability to combine several images into one. So far, it’s still some kind of “forced” way to search for the originality of an image. Is not the original content enough? Once upon a time, in order to increase the attractiveness of the site, it is now necessary to place, for example, google movies or maps that force users to interact, increase interest in the page. Google knows this, so it checks to see if there are, for instance, some video (based on an embedded format) or, for example, a map. Such elements also increase the chances that the panda algorithm will not recognize a site as of little value. What is the importance of Panda in ranking? Definitely bigger and bigger. More and more depends on the content posted on the site, from the site builder. Once upon a time it was possible to find that only the links are able to act as a page to display on the first page in google. At present, thanks to the robust content optimization and the content of our website, we can make its positions go up.